Amarinder Singh said leaders of the Shiromani Akali Dal, BJP's alliance partner, were also absent, but the PM only criticised him. 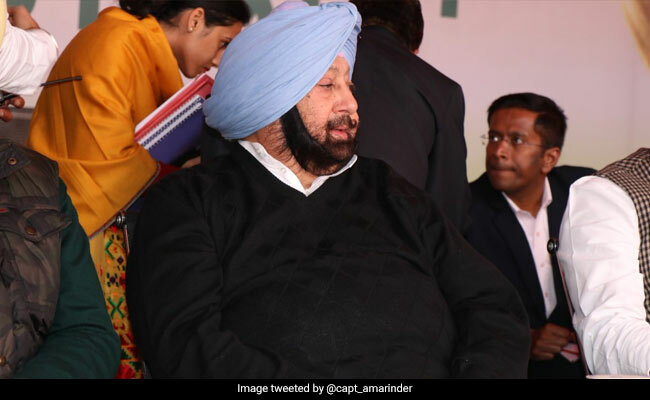 Punjab Chief Minister Amarinder Singh today responded to Prime Minister Narendra Modi's allegation that he boycotted an event to commemorate the Jallianwallah Bagh massacre, saying the PM discriminated against the Congress government in Punjab. He said leaders of the Shiromani Akali Dal, BJP's alliance partner, were also absent, but the PM only criticised him. "Neither Prakash or Sukhbir Badal, nor Harsimrat Badal, who happens to be a minister in Modi's own cabinet, deemed it fit to pay their homage to the martyrs at the historic Jallianwala Bagh," he said. "Why was Mr Modi not present at this major event? Why did the Badals fail to turn up, and why did the prime minister chose to conveniently ignore their absence?," he said. CM Singh said he attended a series of events at the Jallianwala Bagh national memorial for over two days, adding PM Modi's comments were part of the central government's discrimination against the Congress government. He added that by holding a parallel event to mark the Jallianwala Bagh incident's centenary year instead of supporting the state government's commemorative programmes, the Prime Minister exposed his true intent. There was a clear pattern in PM Modi's attack on him, Mr Singh said, adding the community will not be taken in by such petty acts of omission and commission. "The prime minister's continuous refusal to make funds available for the 550th Prakash Parv of Sri Guru Nanak Dev ji, scheduled to be celebrated in November this year, was in line with his partisan approach," he said. Speaking at Kathua in Jammu and Kashmir, PM Modi had said the Congress "politicised this sensitive occasion". Amarinder Singh, he said, was "busy in 'bhakti' of 'Congress parivar'". "He went to Jallianwala Bagh with naamdar but didn't find it right to attend event with the Vice President. This is the difference between 'Rashtrabhakti' and 'Parivar bhakti'," PM Modi said. "Naamdar" is a pejorative for Congress chief Rahul Gandhi.